What is induction sealing, labeling and lot coding? Induction sealing, also known as cap sealing, is used to seal product inside glass or plastic containers. The underside of a cap is fitted with a multi-layered liner that is pressed onto the container top. The container then passes under an induction coil which transmits an electromagnetic field. The field causes the multi-layered liner to detach from the cap and bond with the container, forming an airtight sealed top. Labeling is the process of applying a separate but associated label to any product. The label is designed for protective, instructive, convenience, marketing or security purposes. There are limitless possibilities as each label has different needs. Labeling is pressure sensitive. It can be clear, opaque, vinyl, foil, plastic, paper, or a form label (often a little booklet label containing information). 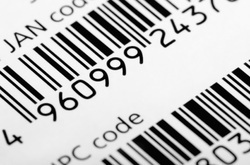 Lot coding is used to track production batches by labeling each batch with a unique identification number. Each product in a batch is stamped with a non-smearing ink that records the year, date and location of production. Typically, a lot code is divided into 3 main parts: The year, date and location of production. What are the advantages of induction sealing, labeling and lot coding? Induction sealing is a non-contact method ideal for sealing time sensitive products to ensure a sanitary, long shelf life. A lot of products are required by law to have a lot code, so determine if it’s necessary for yours. Lot coding is useful for tracking down production batches for quality control and product recall. Labeling provides many solutions for protecting, instructing, marketing or securing your product. We can seal glass, plastic or any type of material container. The maximum cap diameter does not usually exceed 70mm but custom work can be done. We can do front and back labeling. We can do wrap labeling full and partial. We can label product sizes from one-half of an ounce to one gallon. Shapes can vary from round, tear drop, flat, ovals, concave, convex, etc. For wrap around labels, sizing can vary from 1/2 inch to 9 inches in height. Labels can be shifted with a 1/16 inch tolerance (an error margin) on all sides. We can lot code directly on labels. We can print lot coding directly on the product in color. We can use various alphanumeric fonts, sizes and color. We can lot code on just about any material like paper, wood, plastic, glass, metal, rubber, etc.